PaiWrap® combines our low profile molded hook with a low profile knit loop to form a very thin and flexible hook/loop back to back product. It has an easy peel with a strong shear strength ideal for many applications. PaiWrap® can be made with all styles of our Easy Tape molded hooks to fit your application needs. 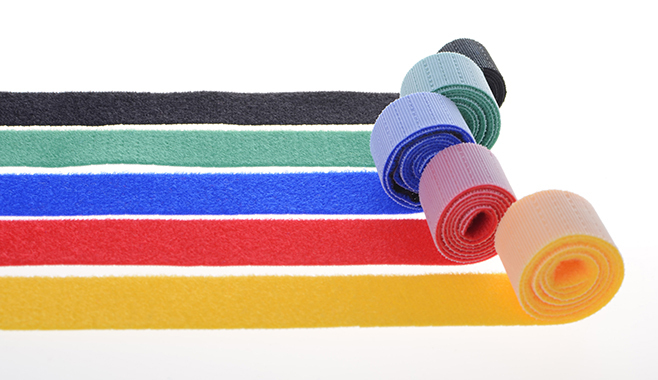 For cable and wire management, try our customizable PaiWrap® cable ties.